A simple Art Deco influenced ceiling pendant finished in satin silver, with five acid etched glass bell shaped shades. 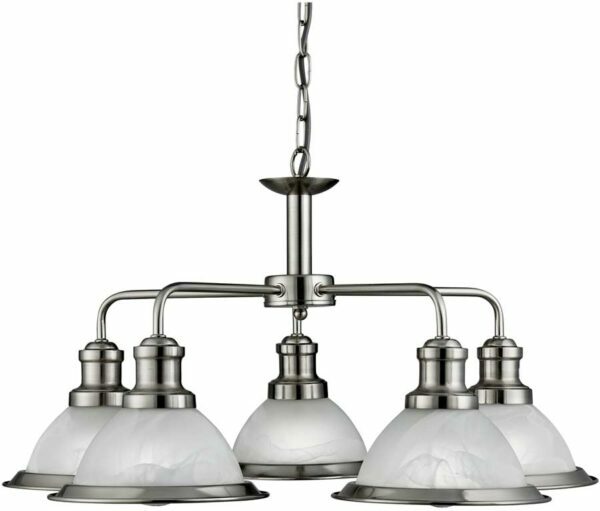 Matching finish chain link suspension, circular ceiling mount and shade finials completes the elegant design. 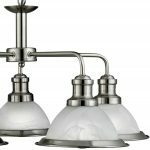 This American diner themed ceiling light is a great choice for mounting over a dining table, living room or larger hallway and can be adjusted in height at the time of installation to a maximum drop of 88cm. 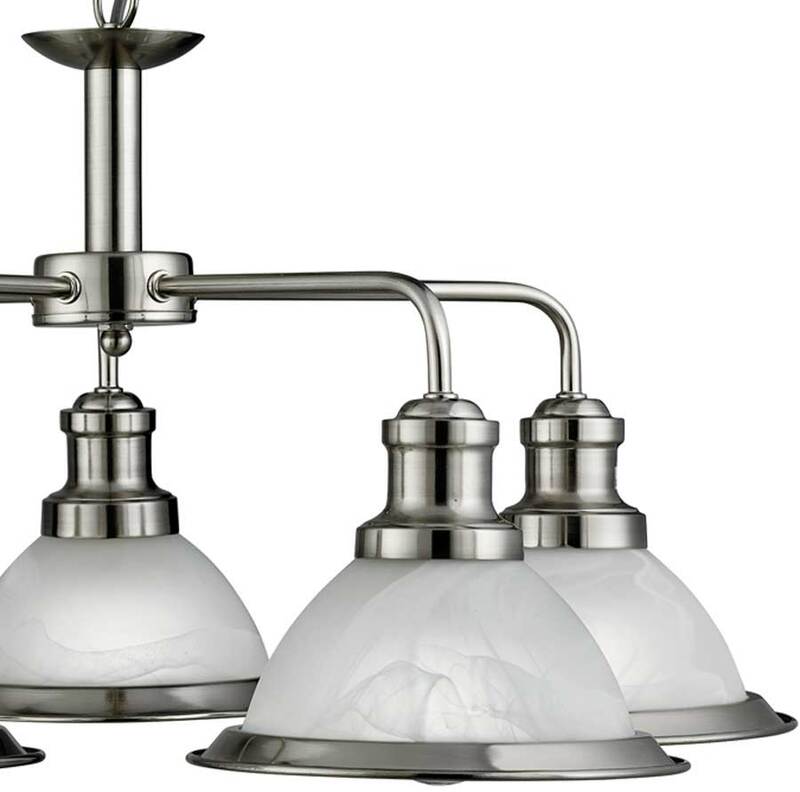 Other products in the satin silver Bistro lighting range can be viewed below and include a smaller three light version of this ceiling pendant, a single ceiling light and matching switched wall light.